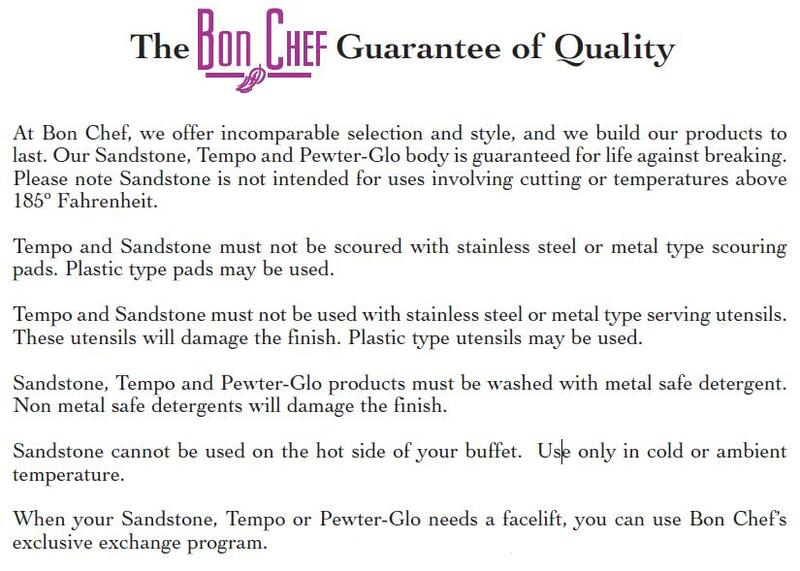 Bon Chef Sandstone Straight Sided Bowl, 10 x 7 x 3 inch -- 1 each. The ultimate in space saving presentation. These Straight Sided Bowls are for side by side presentation with out wasting space in between. Each bowl is divisible into each other so you can arrange them into different size groups as pictured above. Sandstone is a special glaze fired on to an unbreakable aluminum body, it can not be used in steam tables.